Hello! I hope you're having a great week so far! I want to wish all of you in the US a very Happy Thanksgiving week! 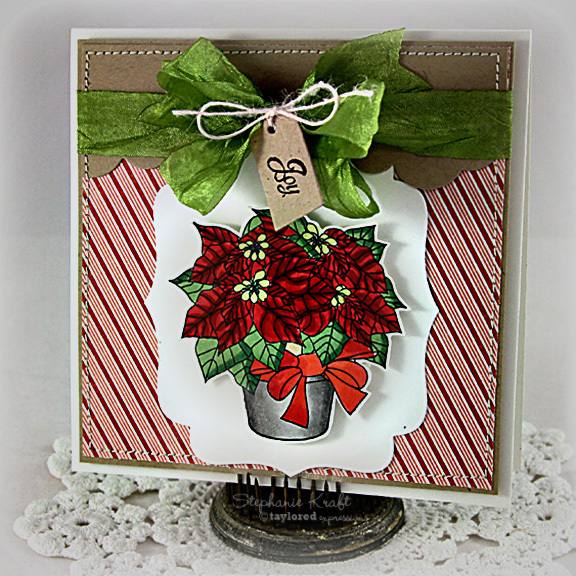 Today I have a card to show you using Poinsettia Bouquet. I stamped my image, colored with Copic markers and fussy cut it out. I popped it onto a Labels Stacklets 2 die cut. 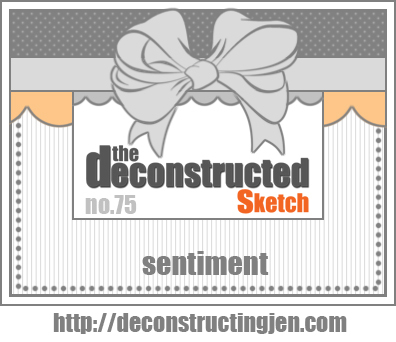 I used an older Deconstructed Sketch (DS75) for my layout. I'll be back on Thanksgiving night/Black Friday with the Baker's Dozen Studio Challenge and info about the Taylored Expressions Black Friday Sale. Be sure to "like" TE on Facebook for all the news and information (http://www.facebook.com/tayloredexpressions). Accessories: Taylored Dies: Labels Stacklets 2, Tiny Tags Dies, Cloud Border Die (Taylored Expressions); Markers (Copic), Ribbon, Twine (May Arts), Foam tape, Thread, Sewing machine. I love this Stephanie! Wonderful job with the layout and your coloring! Gorgeous card Stephanie! You did a great job coloring those beautiful Poinsettias! Love the little tag! So bright and cheery! Great coloring!